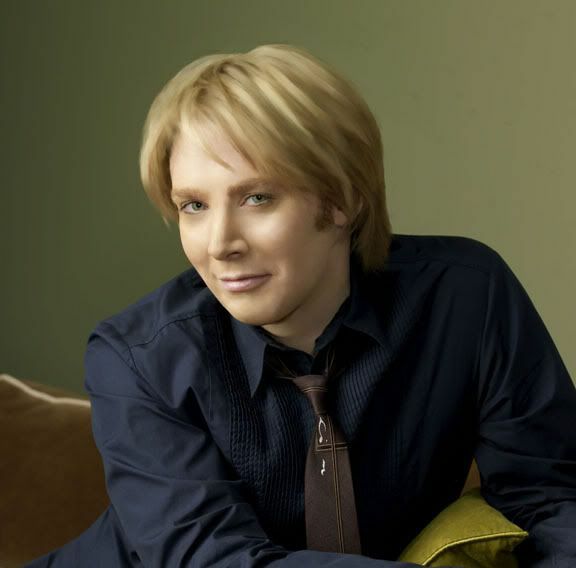 Did you know that Clay Aiken has 35,813 fans on MySpace?? Sounds like a lot doesn’t it?? Unfortunately, in this age of internet social networking, he is running behind most of his colleagues. For comparison purposes only, the number of friends and plays on some other AI alums MySpace pages are listed below. When these figures are studied, it makes it obvious that many Clay Aiken fans do not understand MySpace and its importance in the world of music. MySpace is a community Web site that converts electronic word of mouth into the hottest marketing strategy since the advent of MTV. MySpace is creating an entertainment universe and friends count. According to Courtney Holt, the head of strategic marketing at Interscope, today’s generation doesn’t think in terms of albums or TV schedules. They think of TiVo, P2P, AOL, and MySpace. For this generation of musicians, the mass market and the hit-making apparatus it supports are relics of a bygone age. The new reality is that their audience isn’t listening to radio or vegging out in front of MTV. The audience is online. Interscope seems to be a record label that has embraced MySpace. Last spring, they used the site to debut new albums by Beck, the Black Eyed Peas, and Nine Inch Nails. All three had the biggest first-week sales of their careers. Clay Aiken and his management team look at the numbers on MySpace to determine whether a tour can sell or if there is interest in his music. Sites like HitPredictor and radio stations take these numbers in account to decide if Clay has enough fans and interest to make playing his singles worthwhile. The solution to this problem isn’t hard. It isn’t over the top and each and every fan can get involved in showing support. It probably is the most important thing we can do to help Clay right now. First, become a member of MySpace and FaceBook. It doesn’t cost anything to become a member and you can keep all your information private. No one needs to see your information. Next, sign up to be a friend of Clay’s on both sites. These are not Clay’s personal accounts. They were put on the sites for professional reasons and both Clay and his management are looking for friends. Of course it will take a few minutes to do this, but isn’t Clay worth the time?? What else can we do?? How about visiting Clay’s MySpace account and listen to his songs each day. It is wonderful to sit at the computer and listen to his songs while you get some other work done. Each song that is played is a vote for Clay. The question can be asked as to why Clay is so behind in the numbers or how it happened. At this point, that is not important. What is important is that we can make a difference. What a good feeling it will be to see the numbers rise and know that we are supporting Clay and his career. I would add Tweeter to the list of sites to join. There’s a whole lot of Clay Aiken discussion at this site, too. Great blog that should inspire CA fans to become involved on these Internet portals. Listening to that VOICE from Clay’s myspace as I type. Thanks for this site! It is great! Thanks for all the info! I hope this helps Clay’s numbers!!!! I spend all my free time on the internet watching Clay. This is so sad that these two areas are not supported by Clay fans. Hopefully we will make a difference. But I do know one thing when it comes to Clay touring, his fans will be out in force regardless of what the internet polls show. Come on Clay we are right here waiting for you. I’m streaming from MySpace now. Clay had something over 25,000 spins up till midnight. Now the count shows 0 even thought I’ve been streaming for an hour. ?? I think I know the reason fans stopped going to Clay’s MySpace, because they never kept up any of his comments, and they still don’t. Of course, that would be RCA. Anywho, I have been listening to his songs every day and will continue to do so. Lets get those numbers up. Error: Error validating access token: Session has expired on Tuesday, 21-Aug-18 16:13:01 PDT. The current time is Monday, 22-Apr-19 23:06:23 PDT.